Hi there, just came across this when I was doing a little research for a training booklet. Id just like to point out that our gluten free bases are approved by ceoliac uk and that’s they are fresh and most definitely not frozen, which I’m sure your local shop can confirm with you and let you have a look at if you asked them. 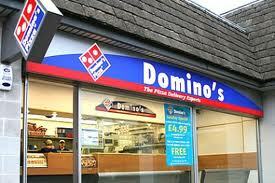 There are procedures in place to enure there is no risk of contaminating the pizza with any product containing gluten. And although there is a big difference between our fresh made dough bases and the gluten free all customers I have served have been very happy with the pizza. Thank you for your response Sharice. My opinion remains that the pizza was not worth the money and needs improving. Please forgive me for hastily putting the offness of the pizza base down to it being warmed from frozen, if this was not the case.